Perhaps you are familiar with the song Safari ya Bamba whose refrain is ‘Safari ya Bamba ni machero’ – that the journey to Bamba happens tomorrow and that, consequently, the need to plan for it today as the road is rugged and dusty and has been known to wear down many a traveller. No doubt, such a journey is familiar to anyone who has ever been part of the publishing process; more so, if tasked with year-round publishing, whether for a personal blog or publishing for one’s organisation. Enters the publishing calendar. Simply put, it is a timetable that guides your organisation in matters publishing to ensure you do so seamless and timely. It states what is published when, where, by whom, the resources needed and the timelines. And why the publishing calendar? It introduces a proactive approach to your publishing and ensures that whatever is published is well-thought of, coherent and effective in meeting your organisation’s publishing objectives. The converse will be to react to fast approaching deadlines and publish what you – and your readers’ – can discern is not your best. In addition, your publishing calendar ensures that everyone in your publishing team is at par with your publishing needs. Especially poignant is how it effectively latches in new entrants in your publishing team; for instance, the end of the year may see a member or members of your publishing team leaving your organisation or new ones coming on board. As such, the new entrants may easily be briefed on what is required of them in regard to your publishing efforts and actively adapt to your publishing schedule. 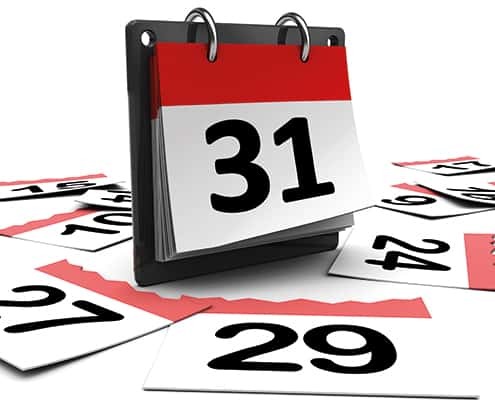 Further, your publishing calendar ensures that external resources – such as printing services – are allocated adequate time such that the end product, such as a book or report in hard copy, is a quality product. What are the components of your publishing calendar 2018? As discussed above, they include personnel, resources needed and timelines. Personnel basically being your publishing team. Depending on your organisation’s complexity, the team might include a managing editor, an editor, staff writers and so on; of course, such responsibilities being latched on one’s responsibilities or expertise, considering that publishing may not be your organisation’s core activity. Taking the case of a doctor’s union that publishes a quarterly newsletter and whose team, for the quarterly newsletter, is comprised of volunteers, the managing editor – tasked with resource mobilisation – may be the union’s secretary general. The editor may be one of the doctors but who has a mastery of the language employed by the newsletter while the writing staff could comprise of volunteer doctors submitting articles on a regular basis and so on.